Would you volunteer to drive into a brick wall? Probably not. Which is why computer simulations are crucial to auto safety. Software lets engineers run crash tests inside computers rather than on roads. It also allows them to compare the performance of different designs early in the process while cars are still on the drawing board, saving money and injuries. What actually happens during a car crash? How does each part of the car react? What are the specific effects on passengers? To design safer cars you need to fully understand accidents. Software simulations help uncover the deadliest dangers—and test solutions. More than 30,000 people die every year on American roads. Too many—but far fewer than a generation ago, thanks largely to seat belts and knowledge gained from simulations. Simulated crashes help engineers design safer cars. Note how the front of the car crumples and absorbs most of the impact, protecting the passenger compartment. Software can simulate the real world. But it can’t replace the real world. 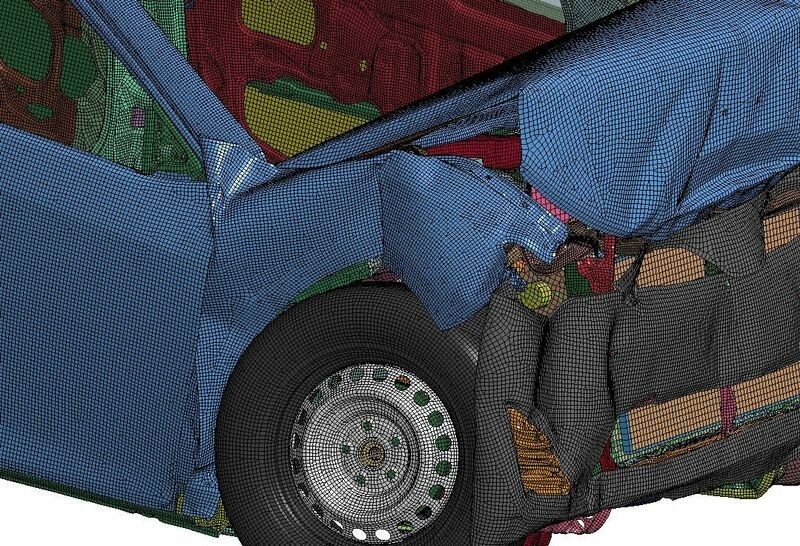 So car design engineers combine information from virtual crashes and from actual crashes. Simulations let engineers explore varied options early in the design process. But final, definitive tests, the basis for safety ratings, require smashing real cars. Cars have become much safer over the years. 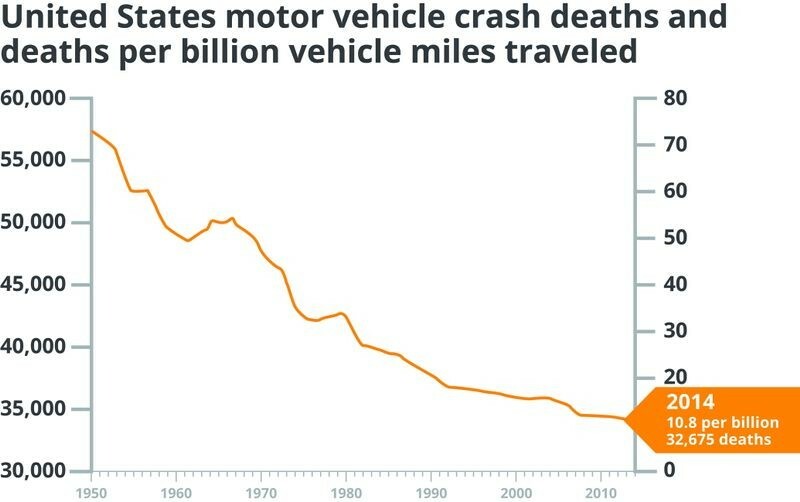 From 1950 to 2014, the US population increased by over 150 million yet the rate of car crash deaths declined by more than half. A lot happens during a real crash test and it happens fast. 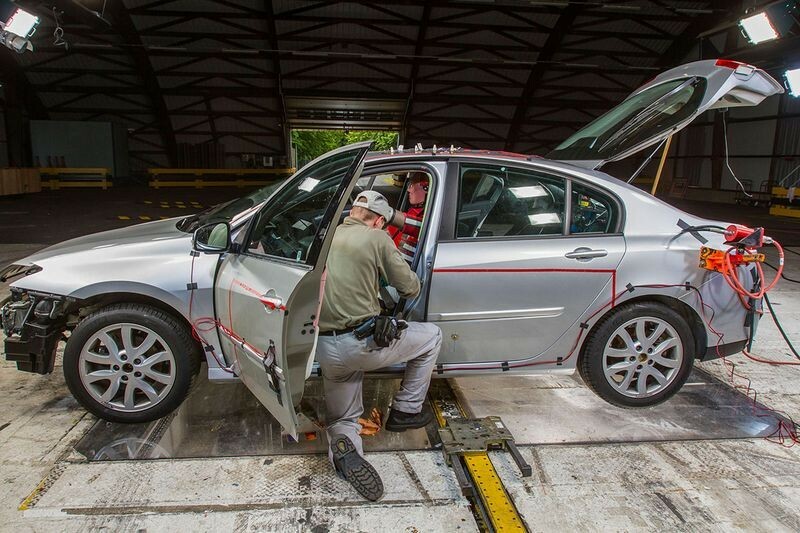 To capture crash data, engineers place sensors throughout the test car. Crash tests take place in “crash halls.” While engineers oversee tests on computer screens, the actual crash data is stored in digital recorders in the car. Credit: Honda R&D Americas Inc. 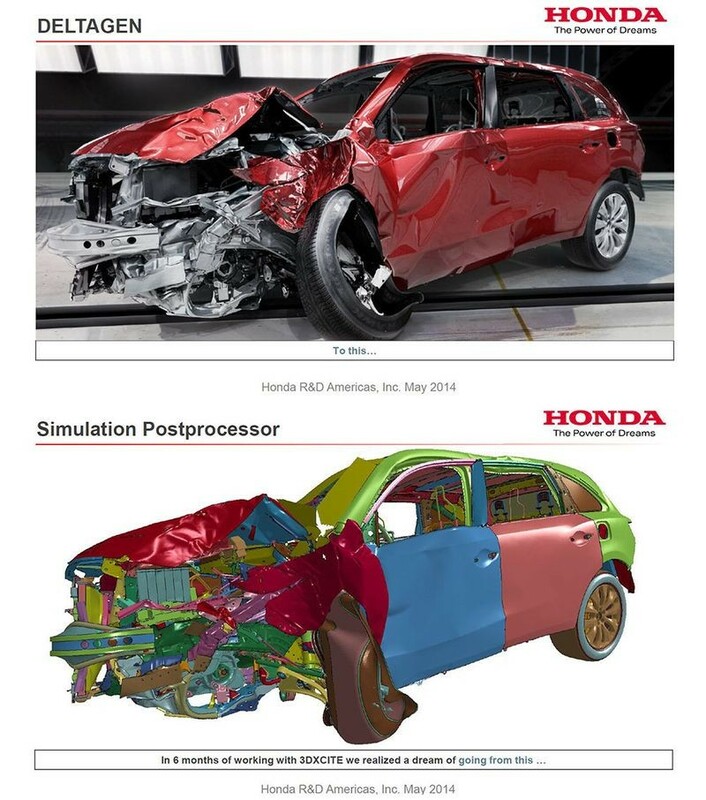 Comparing results from crash simulations with real crash tests improves the accuracy of both. Software engineers fine-tune their models based on real-world results. 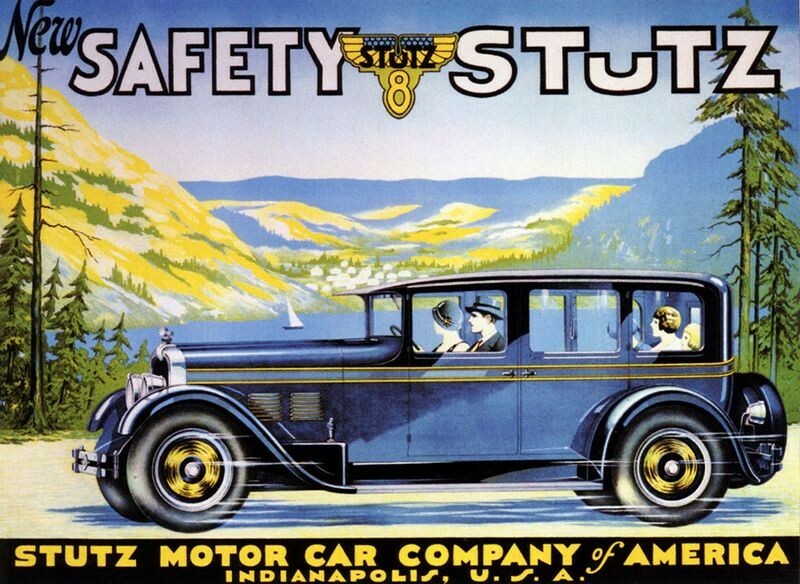 Credit: Stutz Motor Car Company of America Inc.
Decades before other automakers, Stutz designed cars with safety in mind. They made cars with safety glass, a low center of gravity, four-wheel brakes, high visibility, and fire-resistant upholstery. 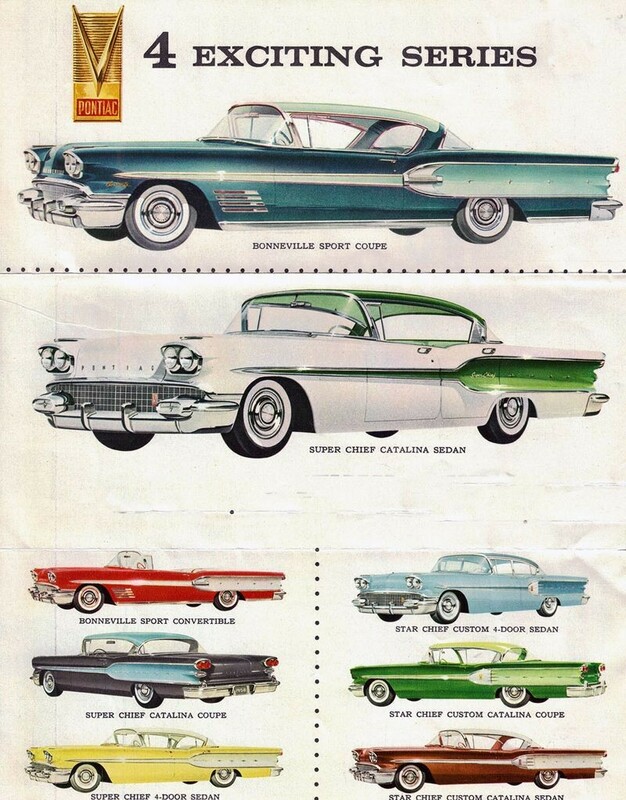 Automakers today offer many more vehicle models than they used to. Simulation and design software allow new designs to be created more quickly than the paper designs of yesteryear. 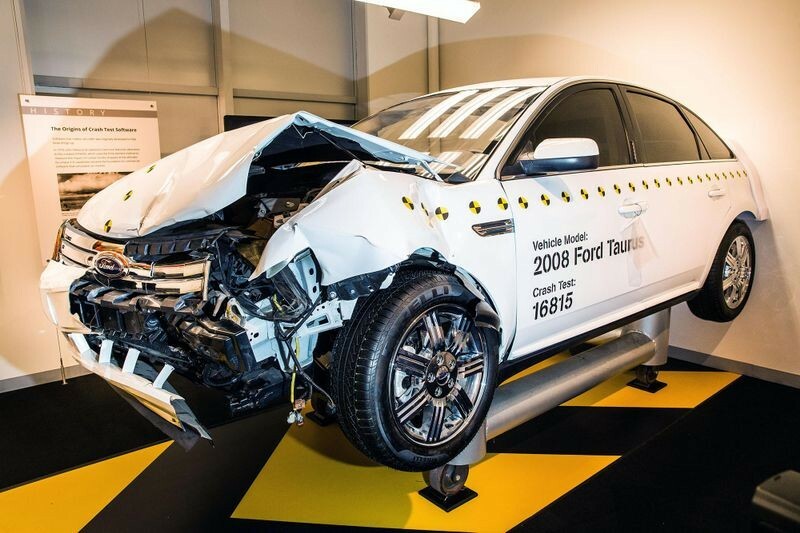 Results from crash tests impact a car’s safety ratings -a major consideration for many car buyers. 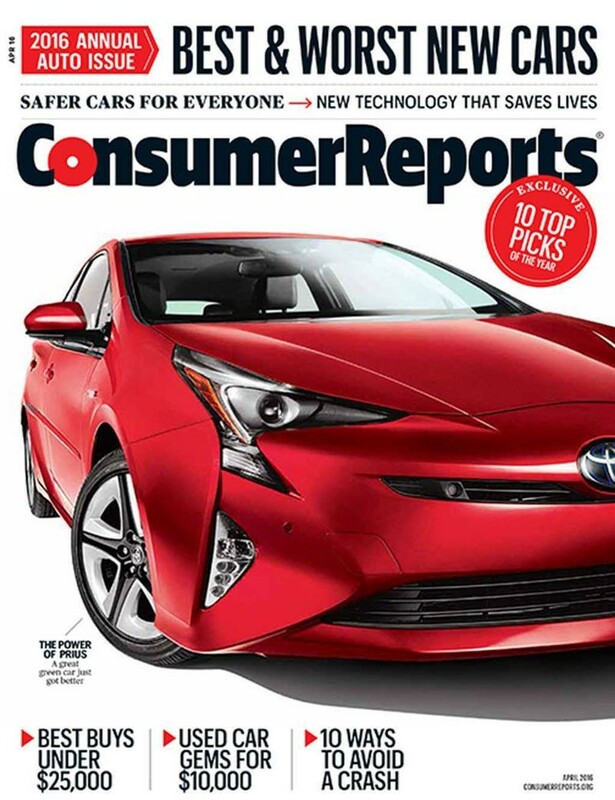 Rave reviews and scientific data in trusted sources, like Consumer Reports, can instantly change a buyers’ perspective about a car. This 2008 Ford Taurus was the subject of a 40% offset frontal crash test performed at 35 miles per hour. Administered by the staff of Ford Motor Company's Barrier Crash Test Facility in Dearborn, Michigan. The test took place on February 29, 2008. Creating an actual car crash is easy (unfortunately). But how do you create a simulation? 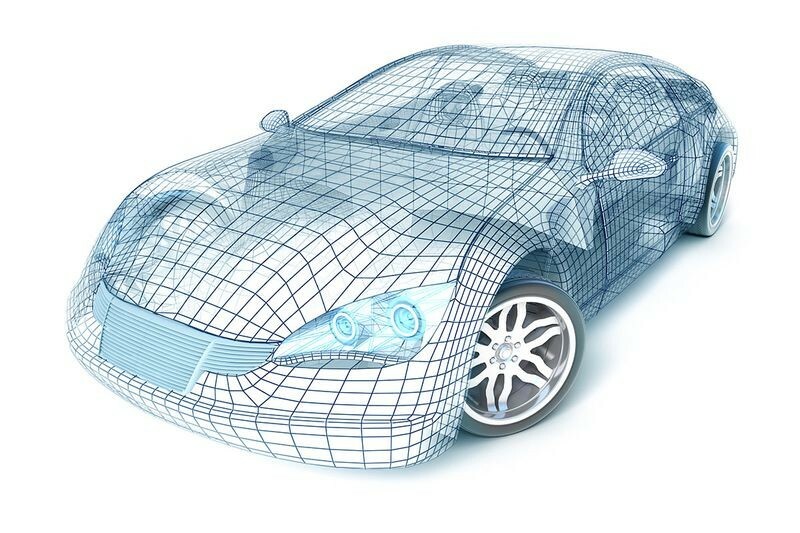 Once designers have outlined a car’s basic form, they use the finite element method (FEM) to model its shape by plotting many interconnected points on the car’s surface. Software then calculates how the forces in a crash would affect each of those points to determine the overall result of the impact. Car model by George Washington University, 2012. Image courtesy of Livermore Software Technology Corporation. 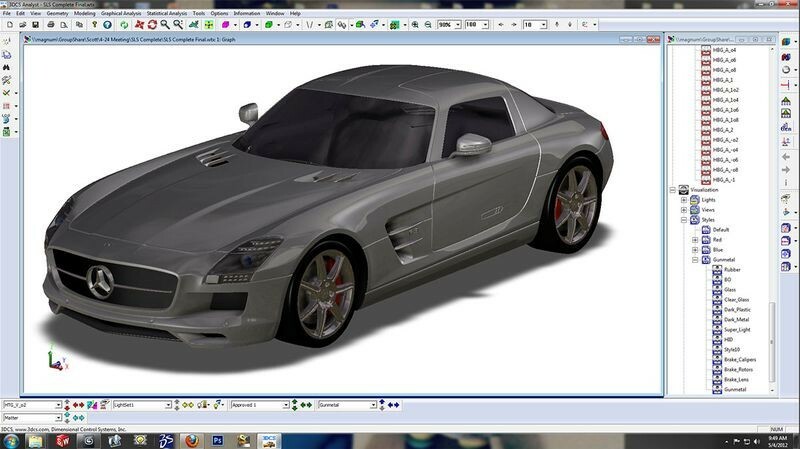 This virtual car simulation, shown in the program LS-DYNA, shows the FEM “mesh” covering the car. Each point in the mesh represents a series of calculations. Appearance. Performance. Efficiency. Safety. Cost. Computer-aided design (CAD) lets car designers balance all these factors, simulating the performance and tweaking the look of each new model before building actual prototypes. 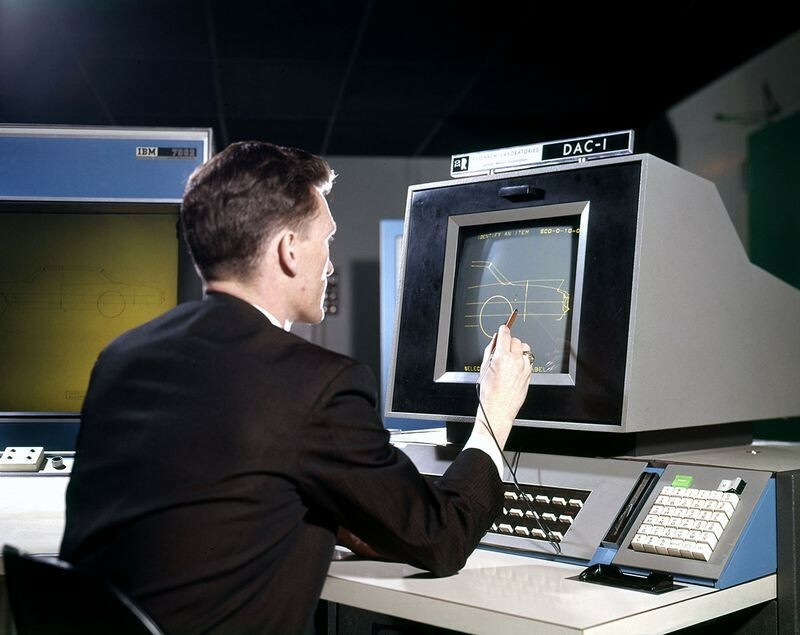 Auto manufacturers adopted many CAD techniques from aeronautical engineers, who pioneered the use of powerful computers to model the performance of aircraft designs. In 1964 General Motors and IBM announced the DAC-1 computer-aided design system for cars. The system acted as an electronic sketchpad and controlled a milling machine to produce a physical model. One of the earliest practical uses of the finite element method (FEM) was in the design of aircraft wings. 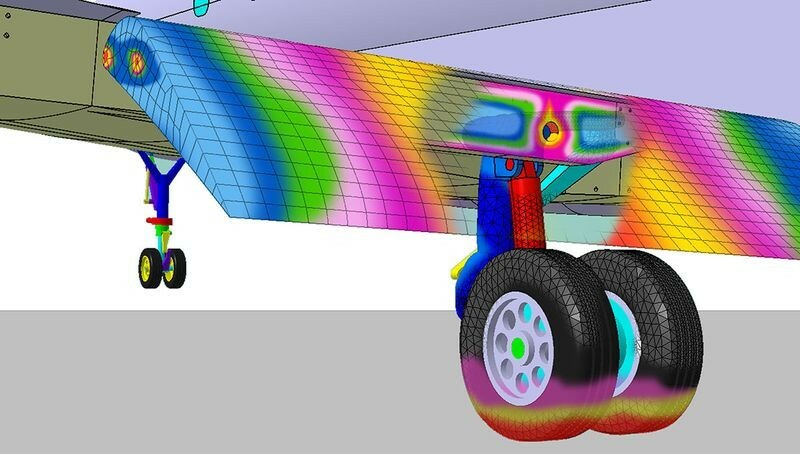 Here, the color-coded regions show varying levels of mechanical stress on the wing. 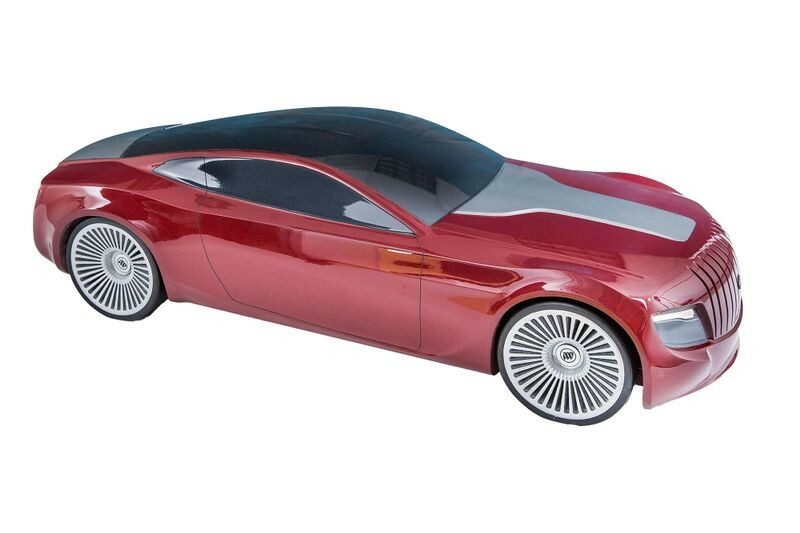 Carmakers still explore new car designs using small-scale models made of clay or foam. This experimental design was first drawn on a computer-aided design (CAD) system and then sculpted on a multiaxis milling machine as part of a student project. Software simulations play a part beyond crash tests. They touch every step, from design and engineering through production. For example, fluid dynamics computations analyze aerodynamics to improve fuel efficiency. Performance tests provide feedback as the design evolves. And simulating the manufacturing process identifies ways to increase efficiency or reduce waste. To improve fuel economy, car manufacturers try to reduce wind resistance. 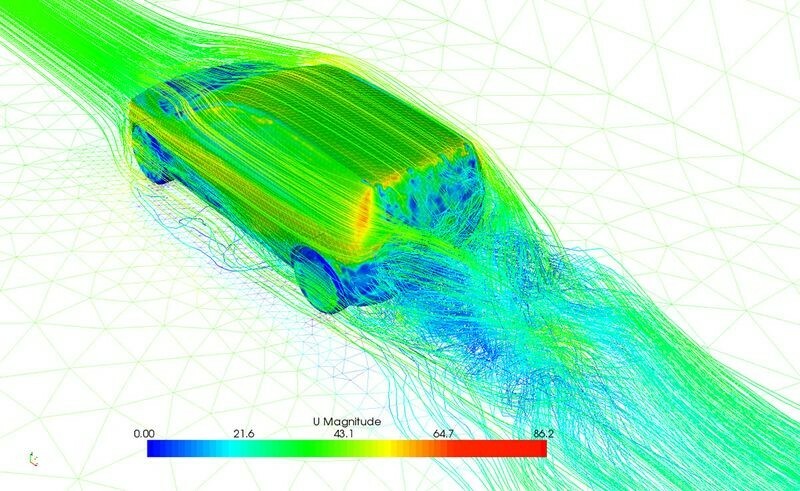 Computational fluid dynamics (CFD) simulations show how air moves around a moving object, like this minivan, allowing designers to adjust its shape. 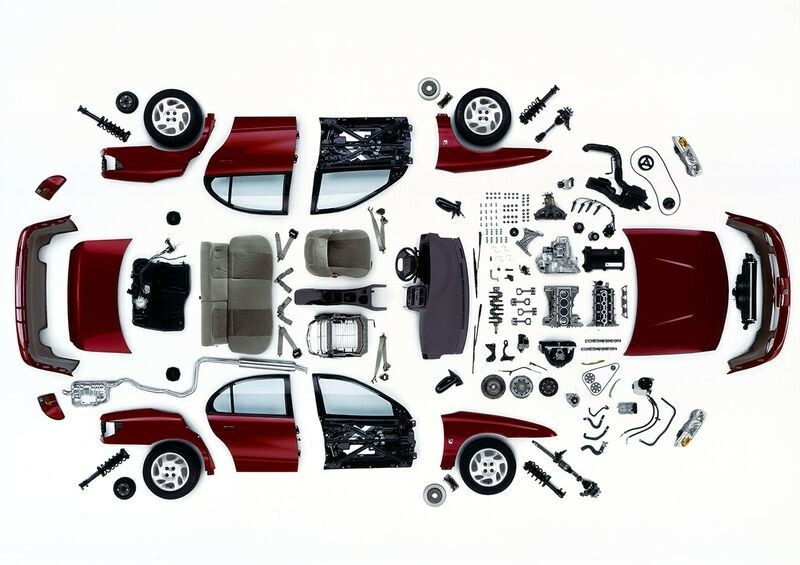 The average modern car has about 25,000 parts, each with their own CAD drawing. From the tail light to the front grille, the complete car exists in software as a series of CAD files. 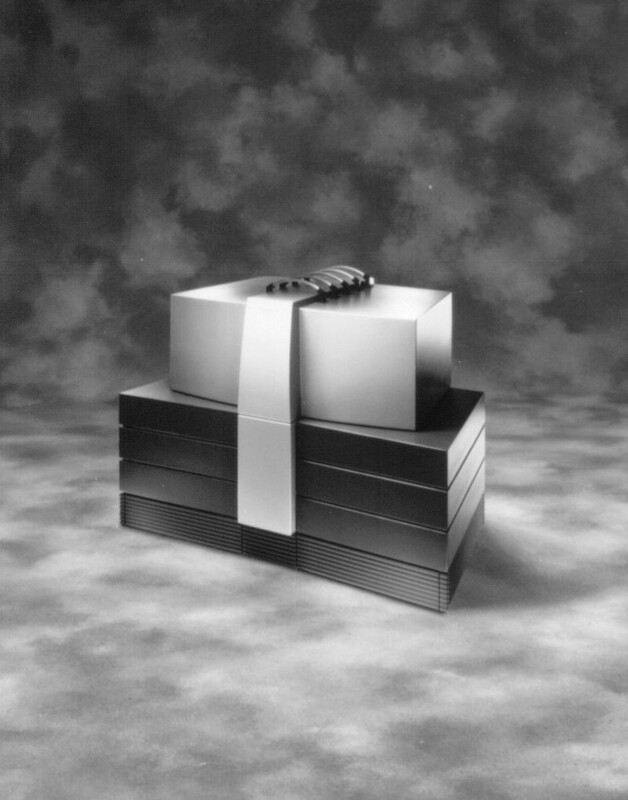 Top: Courtesy of General Motors Middle and Bottom: Credit: Cray Channels, Spring 1990/Cray Research Inc.
CAD is used to model how this sheet of metal would flow around a stamping die, reducing cost, waste, and manufacturing time. There are many steps in designing, testing, and building a safe, stylish car. Software plays a central role in each. Computer-aided Design (CAD) software transforms ideas into images, showing how the car will look, and creating a data set representing the car. 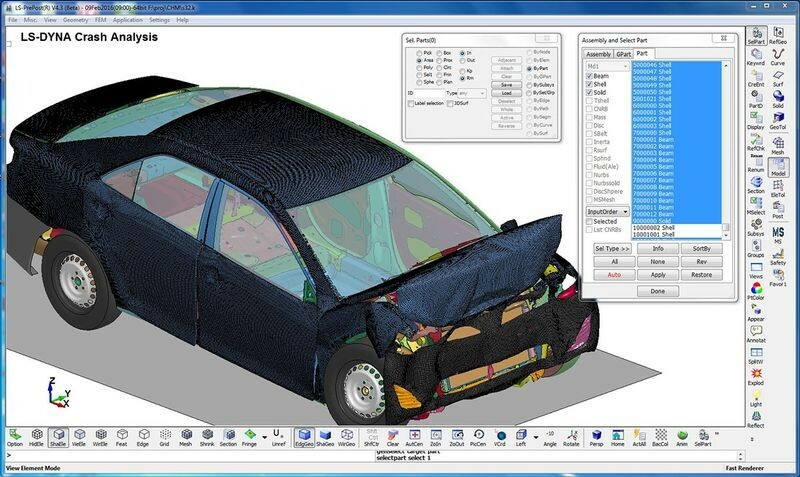 Using the CAD data, a finite element method (FEM) engineer creates a graphical “mesh,” plotting each car part as a mosaic of small polygons called “elements.” Software assembles each individual element into a complete and structurally accurate mesh model of the car. 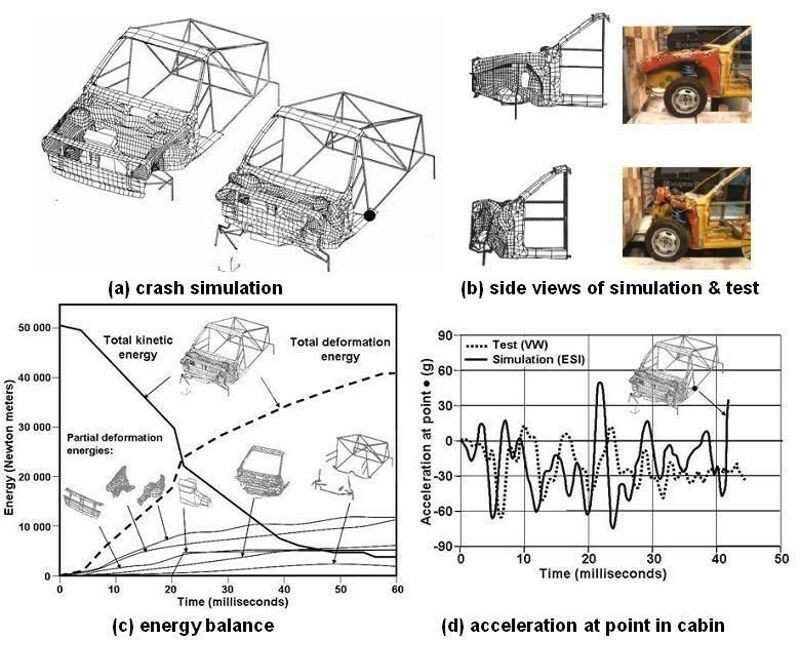 Finally, engineers crash the car into a barrier—virtually—using powerful software to simulate the effect on each element. The system displays the results as a moving image, which engineers use as a guide to fine-tune the design. Software that makes cars safer was originally developed to help blow things up. 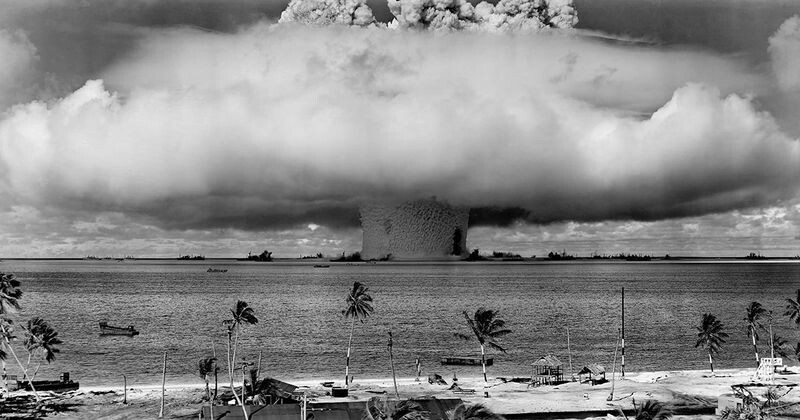 In 1976, John Hallquist at Lawrence Livermore National Laboratory (LLNL) created DYNA3D, which used the finite element method to measure the impact of nuclear bombs dropped at low altitudes. 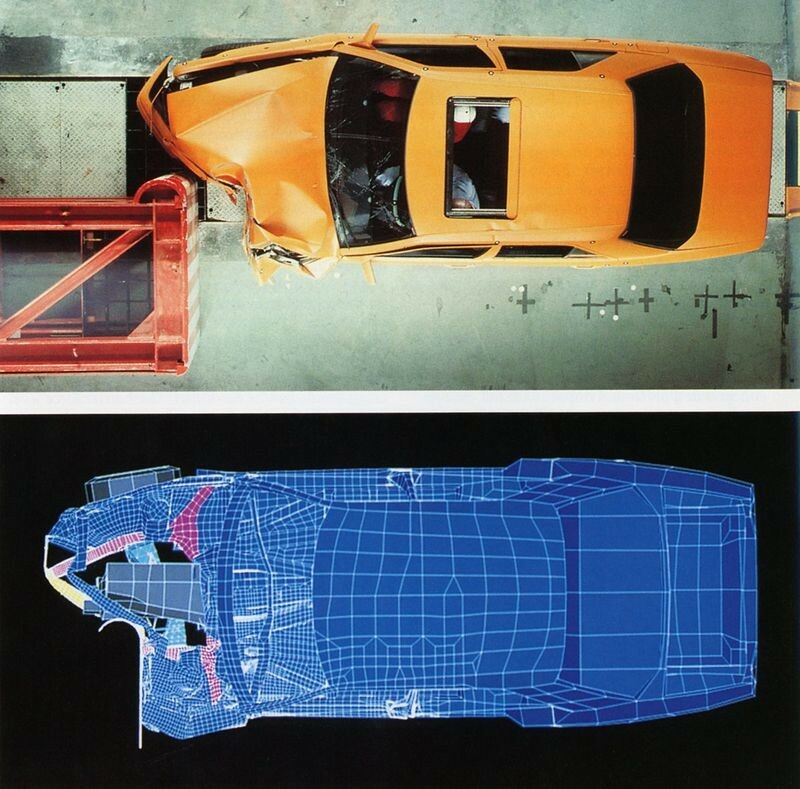 Its unique 3-D capabilities became the foundation for commercial software that simulated car crashes. 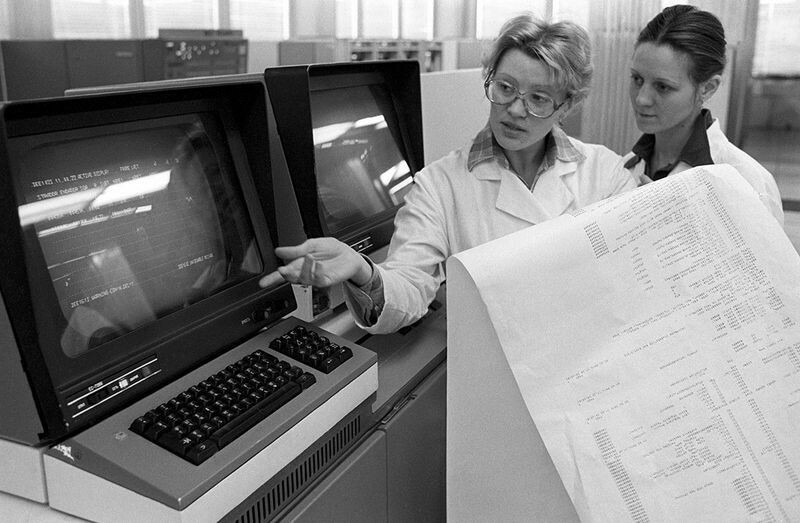 LS-DYNA, the earliest crash test software, grew out of nuclear weapons research at LLNL in the mid-1970s. Credit: National Ignition Facility, Lawrence Livermore National Laboratory (public domain). 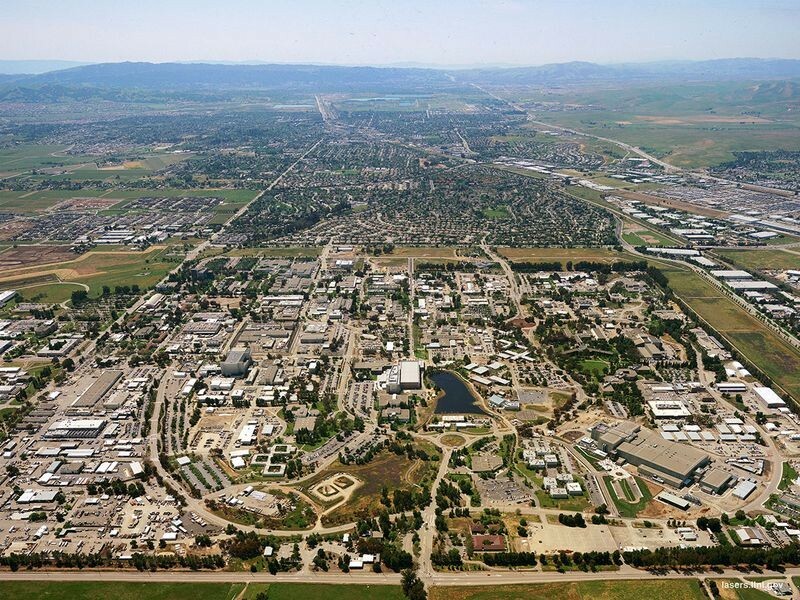 Nearly 6,000 people work within LLNL’s one-square-mile area. Since the 1950s, most US nuclear weapons have been designed there and at Los Alamos National Laboratory in New Mexico. Photo by Julie Russell/Lawrence Livermore National Laboratory. John Hallquist is the creator of the earliest crash test software, LS-DYNA (originally called DYNA3D). He left LLNL in 1987 to start his own company, Livermore Software Technology Corporation, and now holds over 15 patents for his work. 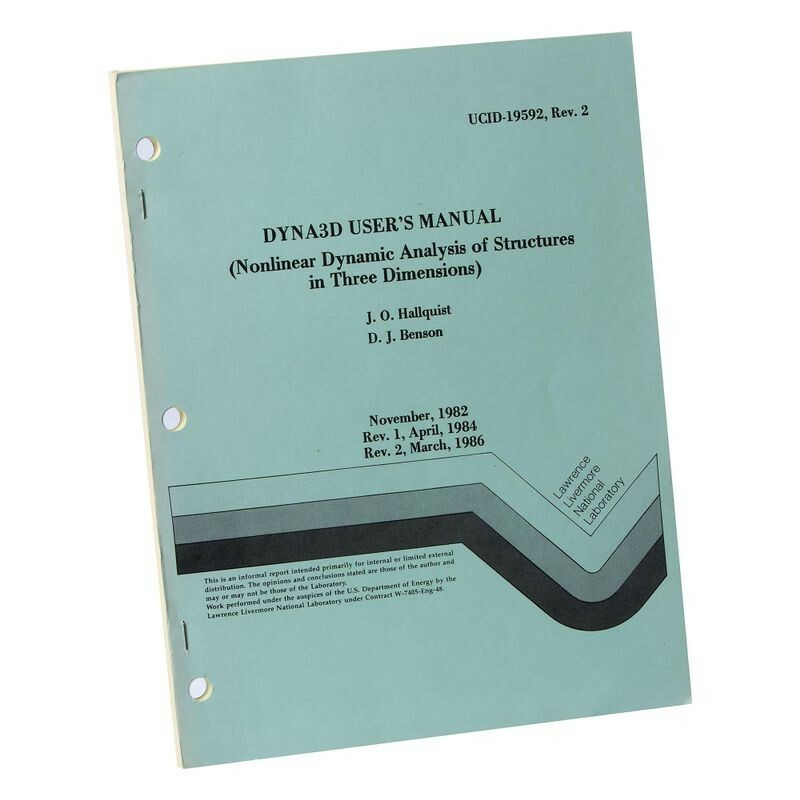 LS-DYNA, one of the most successful programs used to simulate car crashes, is based on an earlier program, DYNA3D, used to measure the impact of nuclear bombs. The earliest simulations produced pages of numerical data, which engineers had to interpret. Today, powerful computers turn this data into graphics, letting engineers watch moving images of car crashes, greatly simplifying their analysis of the results. The more powerful the computer, the more complex, accurate, and easily interpreted the simulation. Before graphical workstations, car designers and engineers had to interpret simulation results in tables of numbers, like the one seen here. The first car crash simulation from a major car manufacturer was Volkswagen’s test of its Polo car in 1986. The simulation had only 5,600 elements. Today simulations have millions of elements. Credit: © Cray Research Inc.
Simulations are more accurate because computers have become more powerful. Ford Motors used a Cray T90 supercomputer, like this one, to run car crash simulations in the mid-1990s. Engineers want to know what happens to cars during crashes. Even more, they need to know what happens to passengers. Before computer simulations, crash tests used animals, cadavers…and volunteers. But there’s only so much you can learn from a cadaver. And only so much you can do to a volunteer. Credit: RGB Ventures/SuperStock/Alamy Stock Photo. 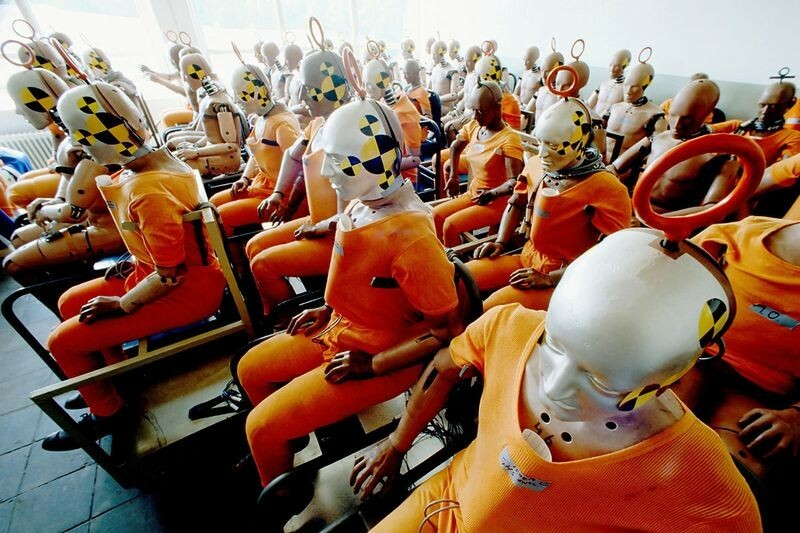 Crash test dummies are used to study the effects of crashes on humans. Modern dummies contain over 200 data sensors used by engineers to anaylze a crash’s impact on individual body parts. 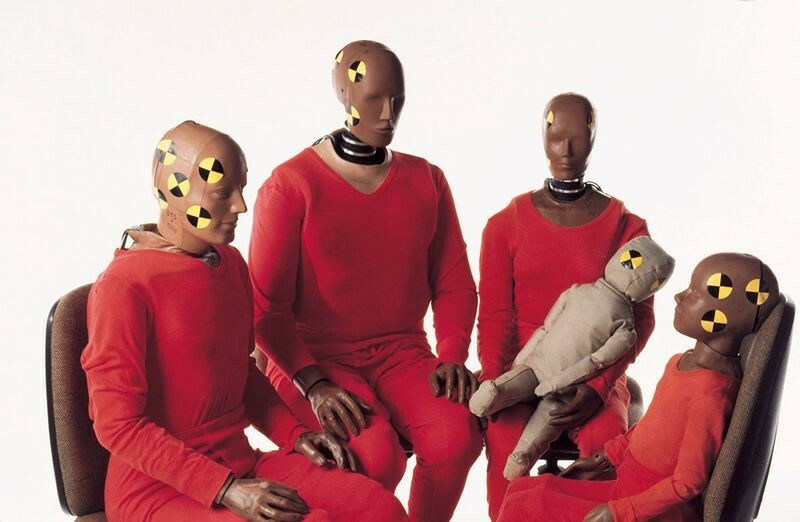 Since the 1950s, crash test dummies have evolved from a single dummy to entire families. Today, dummies represent different sizes, weights, and heights, providing engineers with more accurate results during crash tests. 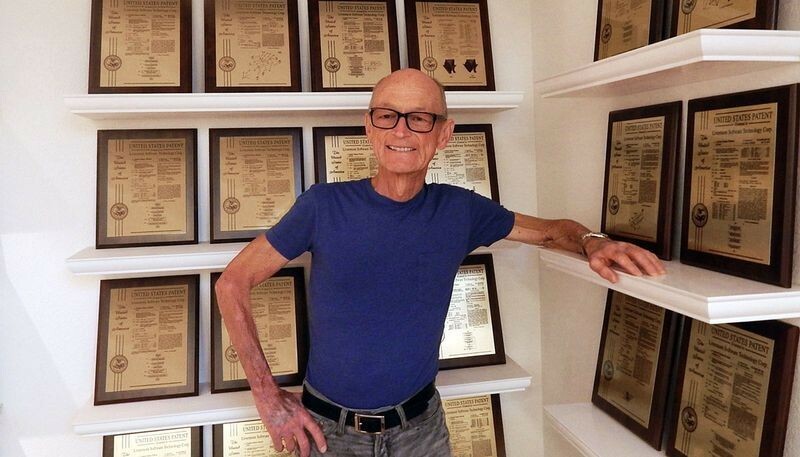 Rusty Haight is the director of the Collision Safety Insititute—he's also the “Human Crash Test Dummy.” Haight holds the Guiness World Record for “Most Human Subject Crash Tests,” with over 1,000 crash tests.